Well, it is February, and I am still reviewing books I read in January. This new challenge started off with books I had read in the past. I have never done that before - for obvious reasons - but I just couldn't think of a good reason to replace books I loved just to start off....fresh. So - I stuck with those book because I am building an Around The World library, and I wanted those books to be a part of it. I don't buy many books because if I bought all the books I have read, I would be broke. Plus, I am in the camp of borrowing books from your local library. Before I moved to Switzerland, I lived in Boston Massachsetts and the amount of actual FREE books available to me was vast. I was there constantly, reading 100s of book at no cost to me and supporting my local community. In August of 2017 we moved to Switzerland, and my ability to borrow books - acutal books - shrank. I live in Basel which, despite the large amount of expats living here, has almost no English books in their public libraries. German for miles. They have a lot of public libraries, which I am always happy to see, but none of them really accessible for the English (or any other language) speaking person. I had to get creative. We still own our house in Massachussetts becuase this move is temporary. I am still able to belong to the Boston Public Library system. That has helped tremendously - I can borrow e-books to my heart's content. Is it the same experience? No. But I could still get what I wanted. 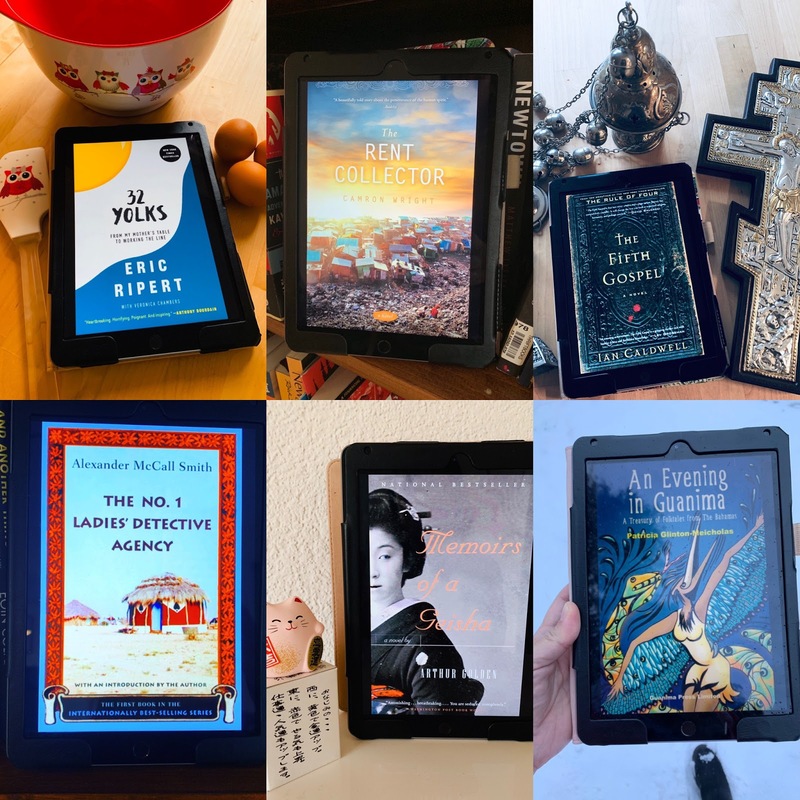 As time went on, I started to explore a little more, and found that these German libraries have Overdrive for ebooks. They have a pretty decent English book catalog, so now I am all set. The 123 books I got through last year thanks to this, is proof. I have gotten off track. I was defending my choice to not start fresh with several countries. For now - I am sticking with that. I have purchased the books from the countries I have read so far, and am labeling each book with the country it is from. There is always a chance I will go back and read a new book from the countries I had read prior to 2019, but that will have to wait until the end of this challenge. There are 202 countries on the list. So.....priorities. I have done reading challenges since 2015. I was in a reading slump, reading almost all dystopian future novels and nothing else. 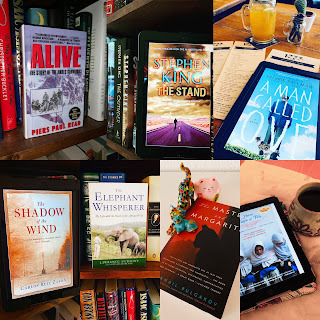 I knew it was time for a change, so a friend suggested I join a Good Reads challenge with her that gave me the category and I hunted for the book. It opened me up to so many books that I would have never chosen on my own, and I haven't looked back. Each year a new challenge and a wider selection of books. I have been wanting to do the Read the World challenge for awhile, but I knew it would take time to pull it all together. I like to have a game plan. Always have been a planner. I spend the last few months of the prior year working on the next year's list of books. 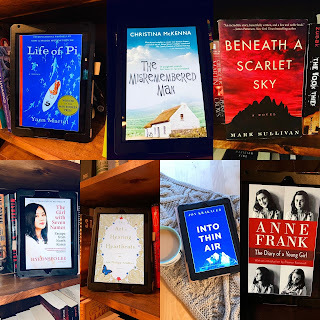 I did vast research on this challenge - asking my different online reading groups for suggestions; reading blogs of people who have done this challenge in the past; using Google..... And I came up with the list I have now. I am still missing a few countries, but I am off to a good start. If you want to see the list I have so far - you can go HERE. In the meantime - while I was blogging those books, I was continuing to read. 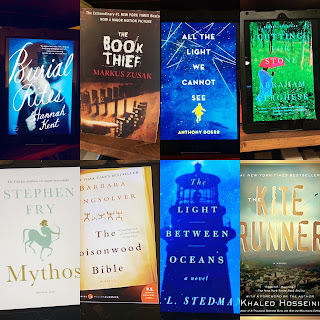 I actually read 14 books in January, and it will take until February 8th on my blog to get them all reviewed at my "one a day" review pace. My goal is always to read 100 pages of a book a day, and most days I can hit that. Another advantage to living in Switzerland - an amazing public transportation system. I can go anywhere I need to go in the city on the tram/bus system. It is clean, efficient, and a great place to read a book. We don't own a car becuase the system is that good. I have one child I need to meet each day after school, so I am on that transporation for one reason or another every day. It is nice to have someone drive me around so I can read. To recap - here are the books I reviewed this year. If you click on the title listed, it will take you to my review. And there you have it - the January blog list. I now own all of these books because I liked them all well enough to buy. The are labeled and ready for the bookcase. I am hoping my luck continues - that most, if not all, of the books I have chosen for this challenge will be worthy of a buy. We shall see. Most of the books that are coming up are unknown or very little known. Some of these countries are small. REALLY small. Not a lot of literature that is in a genre that I would like to read. I am about to find out how people feel about little known books when they see the reviews. I have The Kite Runner but I'm almost afraid to read it, what if it doesn't live up to my expectations? Or what if it's so great it ruins my life lol, but I LOVE The Book Thief, I'm glad you're able to have some decent e-books in English to access!